Painting is one of the vital home renovation projects and many homeowners do not have the patience or time that is required for this type of task. Aside from time constraints, buying wrong equipment or skipping essential preparation steps are also among the challenges that homeowners face. Professional painters give you a worthwhile alternative to handling the job by yourself and there are some factors you need to consider when hiring a contractor. One of the crucial steps in your search for a professional painter is to get at least three contractors who can give you estimates. There are various painters who offer their services and you can find them online. Consult at least three and ask them to assess the project before you make a final decision. Getting painter recommendations from friends and family is also a good place to start your search. After the painters provide you with estimates, request for lists of references. You can call the references to verify client satisfaction and the quality of work. Once you narrow down your choices and check references, remember to ask for proof of insurance and licenses. Carry out as much research as you can to find out if any complaints have been filed against the painters that you want to hire. Make an effort to visit some worksites and ask the references if you can take a look at the painting that was done on their homes. You can visit both new and old paint jobs to determine the quality of craftsmanship and the durability of the work that was done by the painting contractors. Find out whether the painter can provide a guarantee for the work. 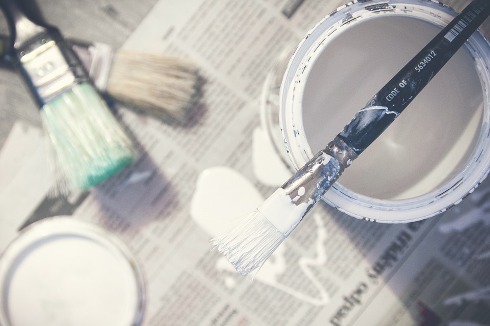 Some paint does not adhere to the surface after drying or problems arise after painting. Since you do not want to end up with walls that are freshly painted with sudden flaking or bubbling, you need the contractor to assure you that they can return and fix the work. A contract is an important written agreement that consists of essential details about the project. These include the name of the contractor, their address, contact information, license number, list of the work that will be done and responsibilities. A copy of the contractor’s insurance policy should ideally be attached in case of any breakage or damage. Select the products that should be used in your home. If you have a preference for a particular paint brand or finish, this needs to be indicated when you are writing the contract. Walk around the area with your painters before they start. It is advisable to set aside some time to go through the rooms that will be painted. This will enable you to notice any signs of damage later on when you and the painter are aware of the conditions of each area. Let the painter know that they should leave the site they way they found it. This means that the painter is expected to clean up the site after the job is completed, return furniture and get rid of any debris. Legal Steroids - What makes them safe for use? London's Top 5 Food Spots for Under a Tenner.